This strain boasts of being 100% pure sativa hybrid. If you need a pure sativa strain, then now you know what to pick today from the many strains available. The strain’s genetics are a bit of a mystery. Not many people know about where it was first grown and who the breeder is. Even if that is the case, we do not worry much, as the strain is still good. The breeder did a good job to give us such a strain. It is the reason you will find the strain being quite popular among the cannabis users’ community. The name high mids is given to the strain as it is on the border between the mid-level strains and the top shelf strains. This means that you get the best of each level combined into one. The other benefit is that it would be cheaper than the top shelf strain and still have almost similar effects. 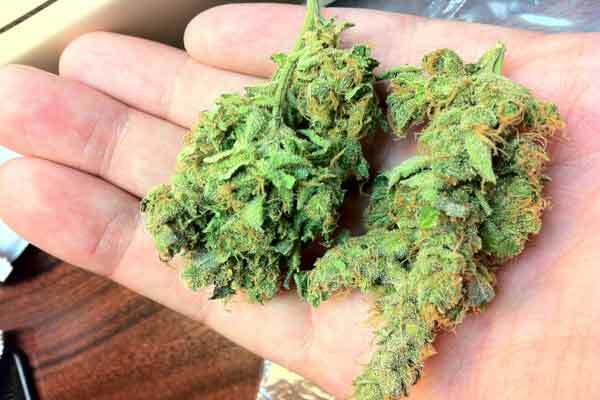 The strain has an average THC level of around 17%. This goes to show that the strain is relatively good when it comes to the potency. It will give you the best high that you have always wanted when it comes to relaxing at home after a busy day at work. Being that it is sativa strain, then expect more of the sativa effects. What you would experience includes having a cerebral high. The strain is good to give you a clear mind that you need to work on several tasks with ease. The strain is also good at inducing some euphoric effects. This is where you get to feel happy at all times. For many people, they always feel happy with this type of strain at all times. You might not understand why you feel giggly all of a sudden, but it is a good feeling for anyone. Other than being happy, the strain can also help with boosting your mood. If you are always experiencing mood swings, you can use this strain to feel good about yourself. The strain is also good to get you in high spirits thanks to the burst of energy that you get from smoking the strain. The energy you get from the strain will get you deal with any fatigue issues. You will be in a position to keep working for longer. Since it is a sativa strain, you do not have to worry about sleeping on the job. It will otherwise keep you focused so that you can handle your projects better than before. It might have some mild couch lock effects, but it would not be for long. It is the reason you get some people using it to relax for several minutes and get back to work. The strain is thus good for daytime and nighttime use. During the day, make sure to use the strain in small doses. Growing the strain might need a bit of experience handling marijuana. It needs a bit of maintenance so that it can grow well. The maintenance is not a lot as you do basic stuff such as trimming and pruning. You can grow it indoors or outdoors. The indoor growing method is preferred by many growers as it gives them an easy time to handle the strain. You can expect it to flower in 9 to 10 weeks. That is not a long time to wait. The strain has also proved itself being great when it comes to medical uses. The strain comes with the right high that works great for many patients. It will work great for patients with chronic anxiety and stress. You will always feel relaxed and stop worrying about your troubles. It could also work for those with sleeping disorders.